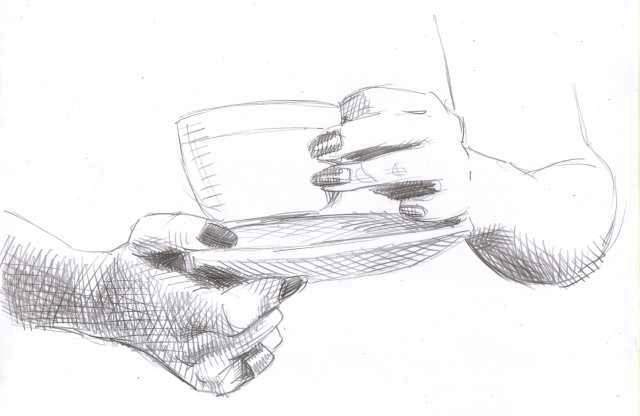 This is a new sketch I made from a magazine photo I found in my archives. I’m not sure where it originally came from, but I had written “doctor’s office” on the back. 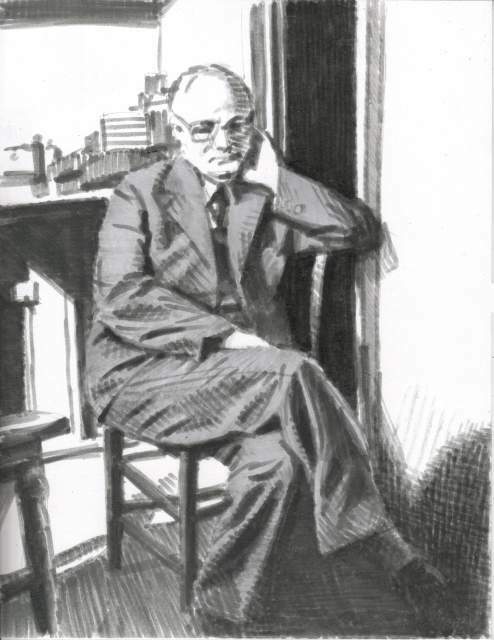 It was drawn with a ZIG “Writer” marker, and his suit was tinted with a Prismacolor layout marker. The paper stock is 8.5 x 11 inches. More feet to show this time including the attached calves, modeled again by my friend Alessandra. Drawn with a Uniball pen on tinted card stock, about 9 inches square. 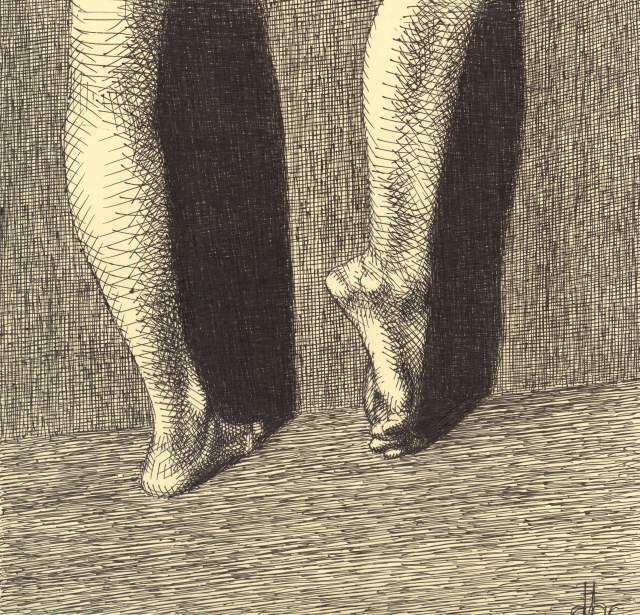 Since I showed you some hands last time, how about some feet? 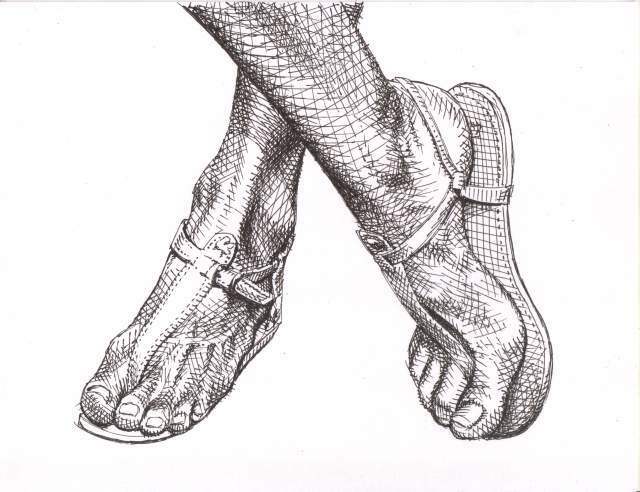 These come from a photo of mine of a friend who has a lovely pair. Ink on paper, 8.5 x 11 inches. 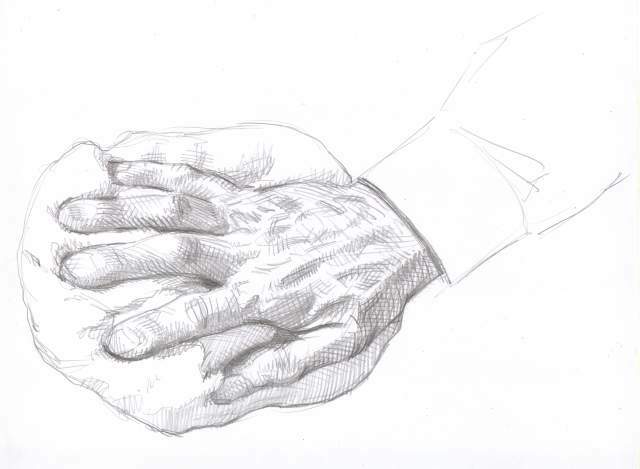 Here are a few recent sketches of hands that I’ve drawn, taken from pages of magazines that I’ve saved over the years. 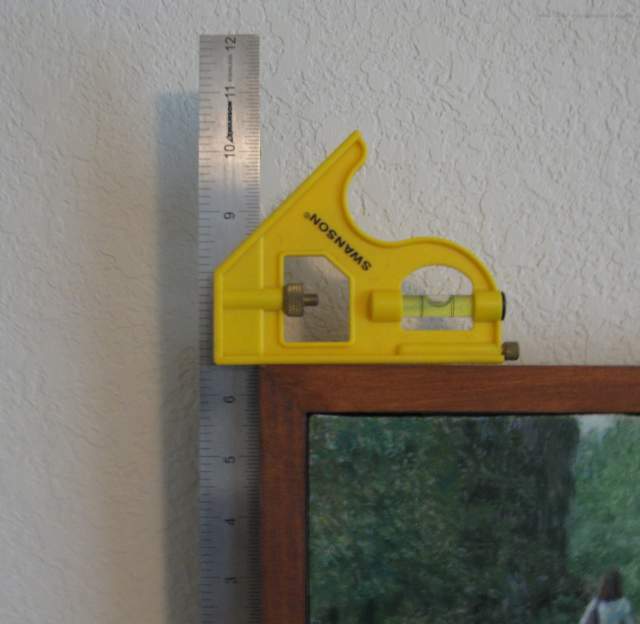 Here’s a tip for hanging a picture on a wall that you need to get perfectly straight: use an L-Square that has a bubble level gauge on it, such as this model made by Swanson. Hang the picture on the wire, place the l-square on one corner, adjust the frame angle until the bubble is centered, and then remove the l-square. Another cheaper method that works fairly well is to take a thin strip of wood, and drive a nail into one end. 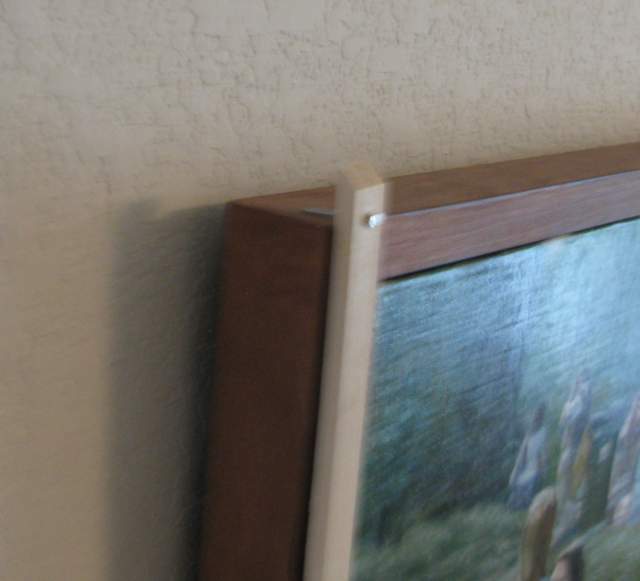 Place the nail on one corner of the picture so that the wood balances on the edge, and use the wood strip like a plumb line to line up the edge of the frame. It can easily fall off, especially if the nail is too long or short, or the wood strip may be bent or not perfectly straight, and give a bad reading. A piece of plastic or metal might work better than wood. 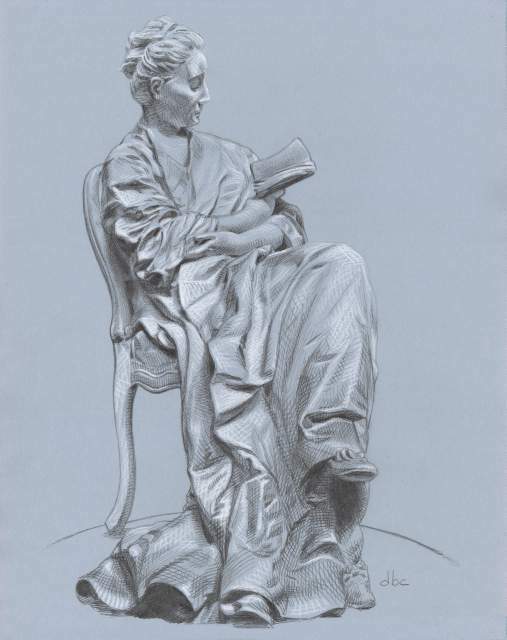 I received an email notice today that this drawing of mine was accepted into a local art exhibition to open next month at the Live Oak Art Center. Details will follow. 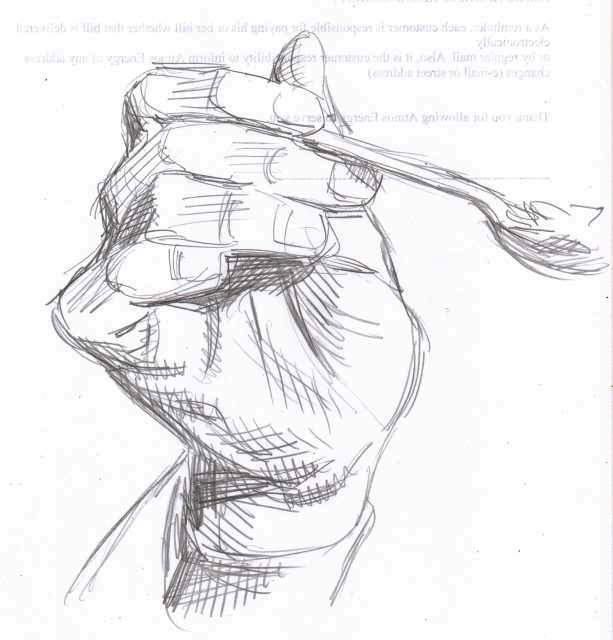 Not only will the IRS help you with your tax filing, but it’s also a good place to go to just sit and sketch people. They’re usually going to be waiting for a long time, so you’ve got a captive model. 8 x 10 inches, drawn with two shades of layout markers. 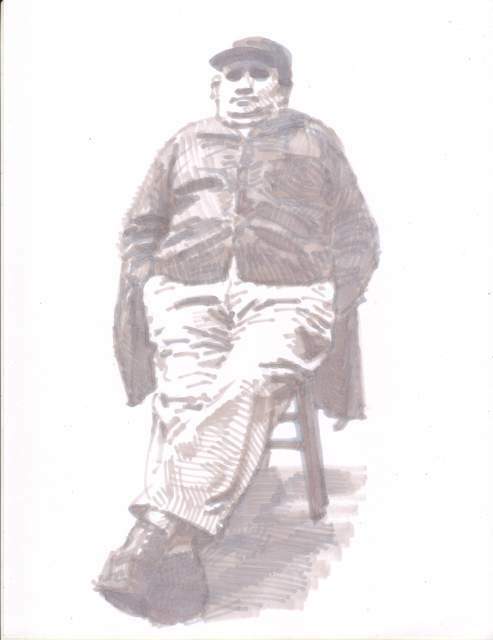 You are currently browsing the Artwork by D. B. Clemons blog archives for April, 2013.